Ducon TML (also called Grünanlage) is a slim 2 way transmission line, floorstanding speaker with Tangband drivers in d'Appolito arrangement. Drivers used are the Tangband W4-657 SC mid / bass driver and the Tangband 28-847 S with 28 mm fabric dome. 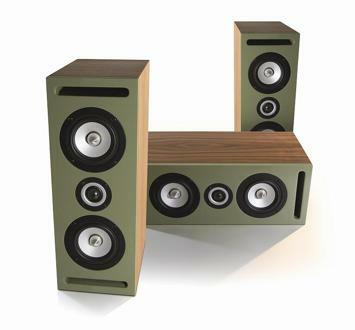 A transmission line loudspeaker with D'Appolito arrangement for considerably less than 100 EUR! - and Tangband 28-847 S.
This speaker may be used for hi-fi, home cinema or in conjunction with the TML version (same drivers as TML, just one capacitor is different), as well as rear or centre speaker.